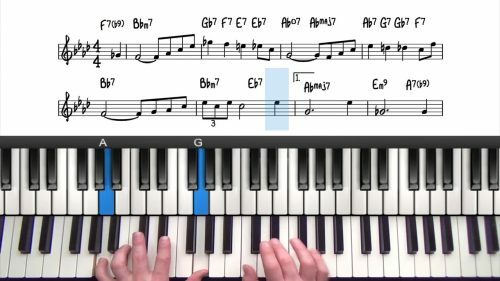 Welcome to this tutorial on the famous jazz ballad "Blue Moon" by Richard Rodgers. 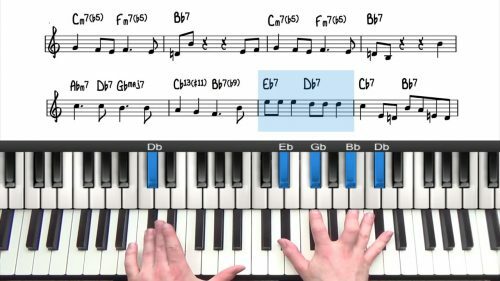 We start this lesson by discussing the form and highlighting the repeated 1625 progression throughout the chord changes. 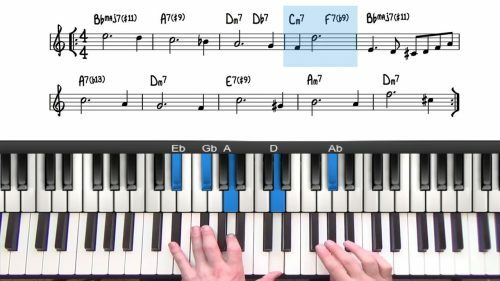 We play through with some simple voicings and then talk about how we can enhance the repetitive chord sequence with chord substitutions and reharmonisations. Passing chords are temporary stepping stones between chords, adding variety and making your playing sound more interesting & dynamic. Upper structure triads are complex sounding altered dominant chords. They will add texture and sophistication to your playing. In creating this arrangement, we drew inspiration from the introduction on the Kenny Barron recording of this tune, check it out here. Remember that listening is an essential component of your jazz piano study. You can't play this music with conviction, unless you have spent the time to listen! Visit the Forum/Community area to share and discover your favourite records.